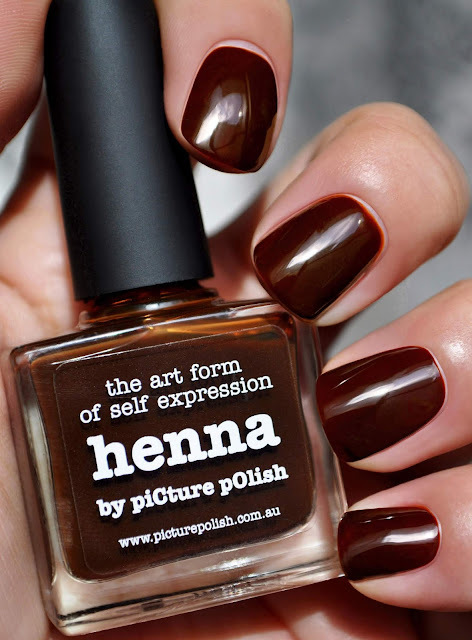 An aptly named polish, Picture Perfect's Henna is a warm henna-brown with a high-shine, jelly finish. The finish reminds me of wood varnish or burnt caramel syrup. As I applied Henna, I fell for its color. But, this polish had me doubting my application skills. Four coats in, I was still experiencing windows of unevenness. 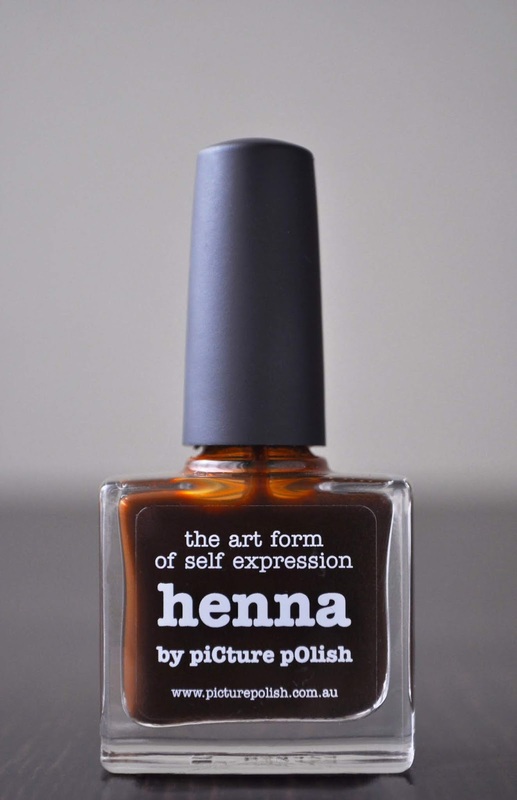 I was so perlexed, I went on the Picture polish website to read Henna's description. I discovered it's "meant to have an uneven, and fluid finish" on the nails. I was relieved to find that it wasn't user error, but the result of an intentional effect. Although the photo above showcases an almost opaque Henna in five coats, I feel its unevenness gives the polish some uniqueness, and adds to its beauty.